Double Tree Hotel Congresbury, England. 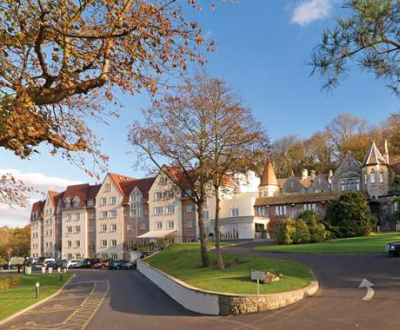 This boutique-style hotel was originally known as Cadbury House, and is based at the bottom of Cadbury Hill. Built in 1790, it retains many original features of period property. The hotel is situated in a semi-rural area boasting six acres of landscape gardens, yet remains close to all amenities. Visit Bristol city center, only a 20-minute drive from the hotel, hire a bicycle and explore the local area or enjoy a round of golf. Every guest room at DoubleTree Bristol South features stylish décor mixing modern design with the period charm of this 18th century house.